Pulling up Kerala government for the delay in re-appointing T P Senkumar as DGP despite its order on April 24, the Supreme Court today refused to admit a plea filed by the state for a modification/clarification and imposed a cost of Rs 25,000. "We can impose cost even if you are withdrawing the petition", a bench headed by Justice Madan B Lokur told senior lawyer Sidharth Luthra who appeared for the state and opposed imposition of the cost when the state was withdrawing the plea. 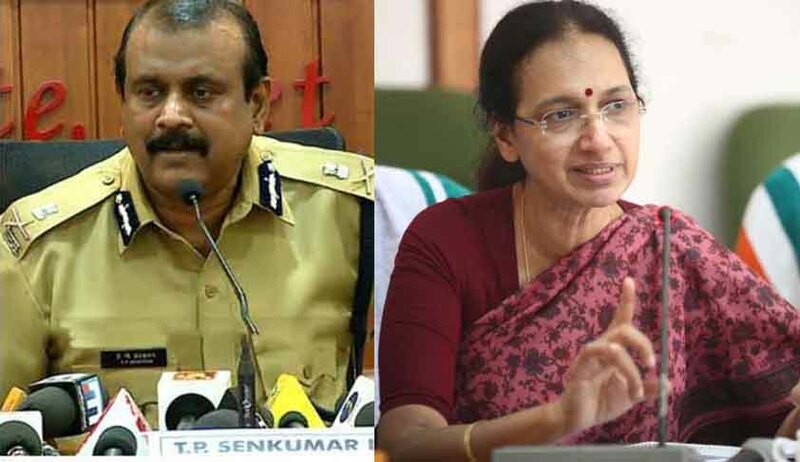 Meanwhile the bench issued notice to the state on a contempt petition filed by Senkumar against Kerala Chief Secretary Nalini Netto for delaying his reinstatement as the State Police Chief as ordered by the Supreme Court. At the outset, Senior lawyer Dushyant Dave who appeared for Senkumar accused the state of making a mockery of the apex court order. When state government submitted "the time taken was because the file was under process", Dave shot back "when he was to be removed it did not even take 24 hours. Even so many days after the apex court order they say the file is in process. This is nothing but gross contempt". It was on 24th April the division bench of Justices Madan B Lokur and Deepak Gupta directed the state government to reinstate Dr. Senkumar as Kerala DGP. The Contempt Petition filed through Advocate Haris Beeran states that the Petitioner wrote a communication dated 25.4.2017 to the Chief Secretary Nalini Netto to expeditiously carry out the directions of the Apex Court and to issue appropriate instructions regarding the same. Dr. Senkumar has also requested the top court to consider extending the tenure of the Petitioner as State Police Chief for the period which was illegally taken off from him. He was appointed as the State Police Chief on 22.5.2015 for a period of 2 years and he was removed, illegally, as found by the Court on 1.6.2016.